Oftentimes, an engaged couple who is considering a destination wedding opts to ask for the help of a wedding planner. There are many reasons for this decision. For example, a couple may want guidance on where to host the ceremony. A wedding planner can suggest various venues based on the couple’s preferences. Here are some other reasons why a couple may choose to ask for the help of a wedding planner for their destination wedding. A couple who plans to get married in an unfamiliar city needs a wedding planner to make them aware of various guidelines. 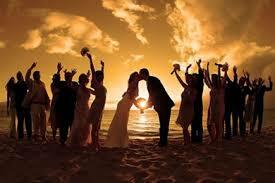 For instance, a wedding planner will know if a license is necessary if the couple wants to marry on a beach. Also, since the wedding planner is local, he or she will know about the various steps of reserving hotel rooms or a banquet hall. In short, the wedding planner can take care of the ‘footwork’ relating to the details of the wedding. Meanwhile, a couple can concentrate on the more joyful tasks that come up when preparing for a wedding! Finally, a wedding planner can solve problems that come up at the last minute. A wedding planner will know who to contact if there is a problem with the cake, flowers, etc. This takes some of the pressure off the couple. A couple who is interested in enlisting the services of a wedding planner may want to go to a wedding planner’s website and click on the ‘contact us’ button.